LinkedIn is rolling out a new feature, 'Your communities,' worldwide now. These hashtag communities are based on topics of interest. 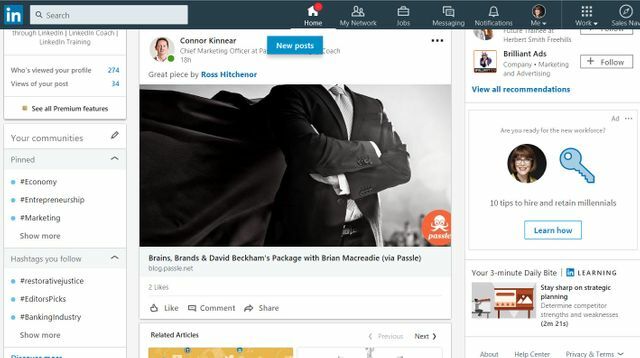 Go to your LinkedIn homepage and you should find the section on the left hand side of the webpage if you have it (see image) - those of you who don't have it, you will have it soon! LinkedIn provides you with some suggested communities based on your profile - you can customise your topics so it's easier to find the content that is most relevant to you. You can search for relevant topics using the search feature - just add a hashtag. It's an easy, quick way to follow topics that are important to you and your clients and keep up with the latest thinking.